5 Things You’ll See at Every Cancerian Bride’s Wedding! As much as your belief in soul mates, love and happily-ever-afters, the dominating characteristics of your sun-sign is just as important to you. If you’re the kind of bride who would open newspapers from the very last page first to read your horoscope early in the morning, then this Cancerian bride profile is for you! Finger-crossing wishes, swearing by the sat-sun weekend wala horoscope you read on a Facebook timeline pop-up, the mini newspaper cutouts you have stuck in your room of the horoscope that came true – you are all of this and more. Your obsession with the alignment of the stars and your life seems to have an uncanny connection and that is why your belief in horoscopes only rises day by day. So when it comes to your wedding? Why shouldn’t you take the necessary help of all your newspaper cut-out worthy for your wedding horoscope! While Matching raashis, and putting together the best sun-sign couple’s isn’t our greatest attribute – we do our bit to sketch out the Cancerian bride – born from June 22nd to July 22nd! The cancerian bride is sociable and fun. 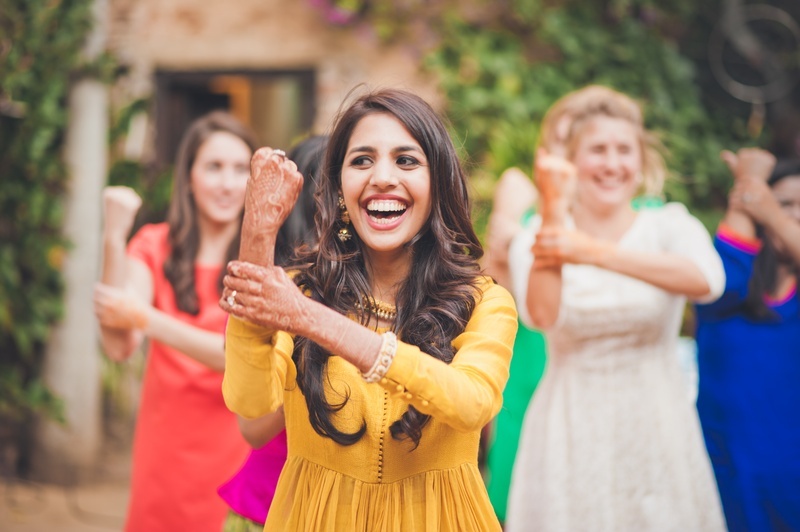 So you can easily expect a whole lot of buddies involved in the wedding festivities. She’ll have bridesmaids official and unofficial. She loves being surrounded by her besties and when it’s her wedding celebrations? The more the better! Full of happiness and imagination that would give ace authors a run for their money, the Cancer brides are constantly looking for ways to do it differently! Highly imaginative and creative, these brides will make sure their wedding is full of all things eccentric. Be it the décor, drapes the food and even the jewellery – she makes sure it’s always creative, always good! They say Cancerians love, and when they love, they love BIG! Deeply in touch with their romantic side, when they chose to commit their lives to someone, they make sure to give it their all. She loves and respects all those who love and respect her. With continuous love and emotions flowing through her, she will fill your life with love and care. The cancerian bride prefers comfort over every other element. Whether it’s a sabyasachi lehenga or not, is the last question in her head. The main focus is how her bridal lehenga should be comfortable and feminine.Fitting and flare. Silhouettes and colors are first priority taking priority over any designer label for the cancerian bride. Are you this kind of cancerian bride? Share if you agree!